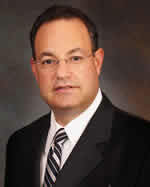 Michael is the Managing Partner of Schneck Law Group LLC, a law firm he started on June 15, 2005. Michael was admitted to the New Jersey Bar in 1986 and for more than 29 years has been very active in the Tax Court of New Jersey and the 21 County Boards of Taxation. His firm currently has over 1800 cases pending before the Tax Court of New Jersey. Mr. Schneck’s most recent reported Tax Court decision, Van Orden v. Wyckoff addresses added and omitted assessments. Since 1990, Michael Schneck has successfully saved his clients more than $150,000,000.00 in real estate taxes. In addition to handling tax appeals, Mr. Schneck represents clients on other real estate valuation issues and the purchase and sale of investment real estate. Listed, Super Lawyers, New Jersey Monthly Magazine, 2005-2015. Certified Public Accountant, Washington, D.C., 1983. Author: "Learn the Ropes: Everything You Ever Wanted to Know About Filing Tax Appeals," New Jersey Law Journal, March 16, 1998; "New Jersey Property Tax Appeals: Avoiding Chapter 91 Pitfalls," New Jersey Real Estate Journal, January 18, 2000; "Recent Developments in New Jersey Tax Appeals and How They Affect You," New Jersey Real Estate Journal, April 18, 2000; "Added Assessment: Beware The Hidden Real Estate Taxes," New Jersey Real Estate Journal, October 17, 2000. Van Order v. Township of Wyckoff, 22 N.J. Tax 31 (Tax 2005); Mega Care, Inc. v. Township of Union, 22 N.J. Tax 604 (App. Div. 2004); Lenal Properties, Inc. v. City of Jersey City, 18 N.J. Tax 405 (Tax 1999), aff'd, 18 N.J. Tax 658 (App. Div. 2000) (per curiam), cert. denied, 165 N.J. 488 (2000); ARP Realty Associates v. Washington, 16 N.J. Tax 281 (Tax 1997); Rainhold Holding Co. v. Township of Freehold, 15 N.J. Tax 420 (Tax 1996); Pine Street Management (30 Evergreen Place) v. City of East Orange, 15 N.J. Tax 31 (Tax 1995), aff'd, 15 N.J. Tax 688 (App. Div. 1995) (per curiam); Pine Street Management Co. v. City of East Orange, 15 N.J. Tax 681 (App. Div. 1995) (per curiam), cert. denied, 144 N.J. 172 (1996); Rutherford Realty Assocs. v. Borough of Rutherford, 277 N.J. Super. 347 (App. Div. 1994); Summerton Shopping Plaza v. Manalapan, 15 N.J. Tax 173 (App. Div. 1994) (per curiam); Throckmorton v. Township of Egg Harbor, 267 N.J. Super. 14 (App. Div. 1993); Royal Bradley Assocs. v. Bradley Beach, 252 N.J. Super. 401 (App. Div. 1991); Intercare Health Systems, Inc. v. Township of Cedar Grove, 11 N.J. Tax 423 (Tax 1990), aff'd, 12 N.J. Tax 273 (App. Div. 1991) (per curiam), cert. denied, 127 N.J. 558 (1992); Towne Oaks at South Bound Brook v. Borough of South Bound Brook, 326 N.J. Super. 99 (App. Div. 1999), cert. denied, 164 N.J. 188 (2000); Harrison Realty Corp. v. Town of Harrison, 16 N.J. Tax 375 (Tax 1997), aff'd, 17 N.J. Tax 174 (App. Div. 1997) (per curiam), cert. denied, 153 N.J. 213 (1998).